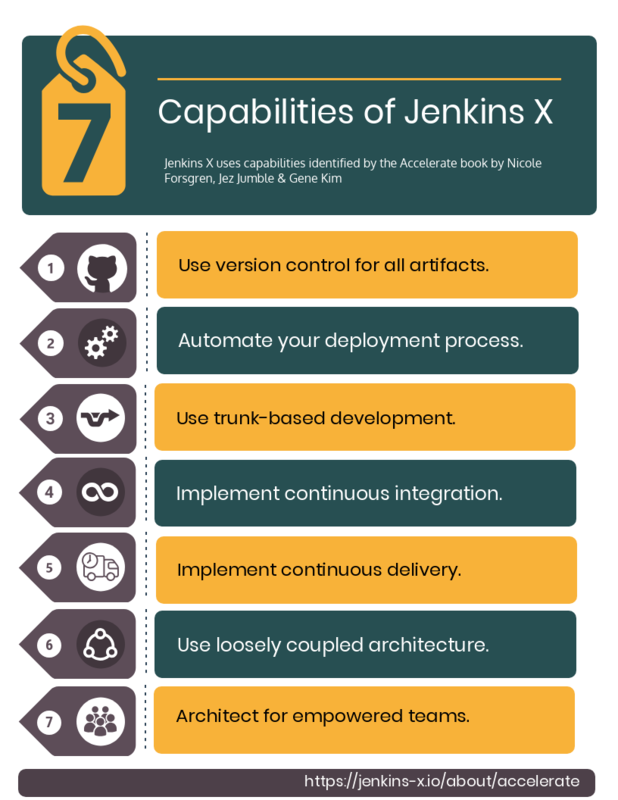 Jenkins X is a reimagined CI/CD implementation for the Cloud which is heavily influence by the State of DevOps reports and more recently the Accelerate book from Nicole Forsgren, Jez Humble and Gene Kim. Years of gathering data from real world teams and organisations which has been analyzed by inspiring thought leaders and data scientists from the DevOps world. 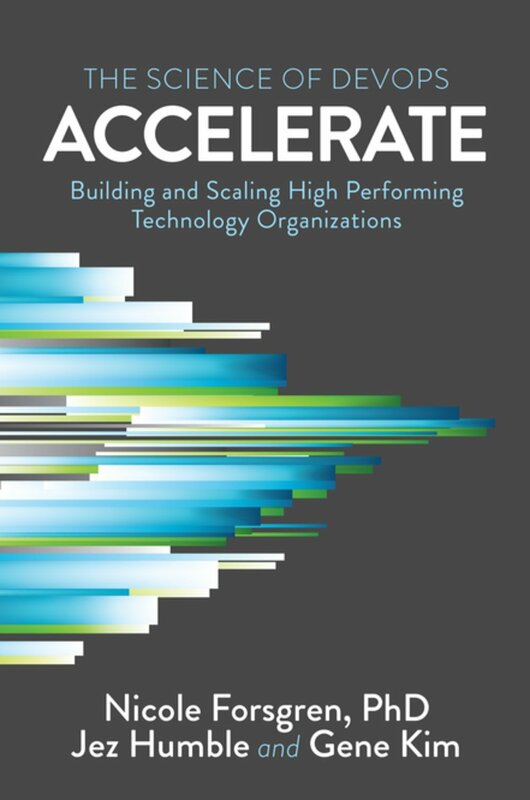 The Accelerate book recommends a number of capabilities that Jenkins X is implementing so users gain the scientifically proven benefits, out of the box. We’ve started documenting the capabilities that are available today and will continue as more become available. The Weaveworks folks coined the term GitOps which we love. Any change to an environment, whether it be a new application, version upgrade, resource limit change or simple application configuration should be raised as a Pull Request to Git, have checks run against it like a form of CI for environments and approved by a team that has control over what goes into the related environment. We now enable governance have full traceability for any change to an environment.